-- The cracklin at Porky's in Alexandria is not as good as the boudin, but they're still worth a try. This 4-year old store is making a name for itself in central Louisiana as the home to the region's best boudin and cracklin and if may indeed deserve the title. The cracklin here come in long strips and they are lightly seasoned and not possessing of much bite. 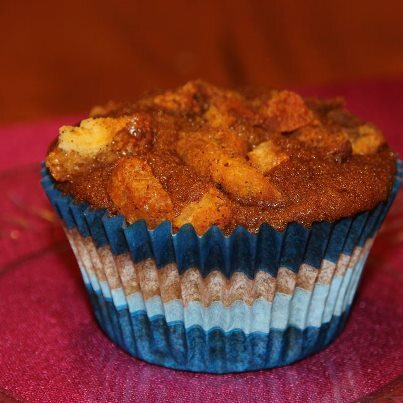 CRUNCH on the other hand is something they excel at providing. The strips are mostly skin with fat playing a secondary role and meat being a bit more elusive. They cook them throughout the day so you're sure to get a fresh batch! Check out the review of Porky's boudin HERE. Fine Cracklin/Gratons from LeBlanc's Speciatly Meats in Lafayette. --- Porkalicious!!! Shockingly good. We didn't even get them hot, but these nuggets of fried pork perfection were awesome. They're gently seasoned and offer a great ratio of meat to fat to skin. The meat is cooked to the point where it gives some crunch, but not so much that it is too dry. This stop, just off of Interstate 10, is definitely worth a try!! It was nice that they had tiny bags ready to go. Did you check out Acadiana Profile. 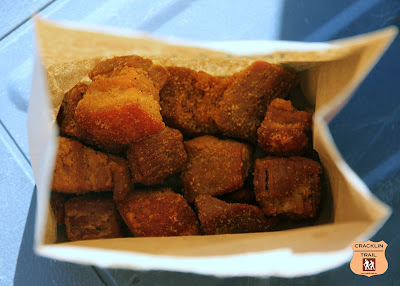 We're extremely pleased to have written this cover article on our favorite fried pork treat!!! -- Back on the Cracklin Trail and we encountered some problems: old, soggy, fatty, and barely seasoned. No one is looking for cracklin like this, so it is odder still that they have to have a sign asking people to NOT put their hands in the cracklins!! There is little to redeem these nuggets of mostly fat. 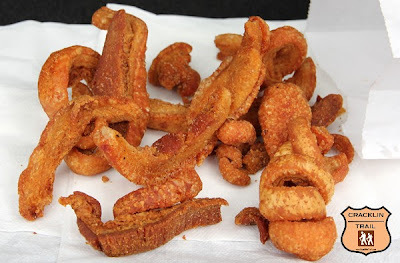 Let's face it, cracklin are already something we shouldn't really be eating, so if they're yucky why do it at all? That's our advice. Enjoy your time on the Trail! !